Featuring miles of vibrant jungle, intertwined with striking mountainous ranges, what better way to experience this part of Mexico than by zip lining through the tree bed in Puerto Vallarta. Experience the rush of gliding from a high point back to base level, taking in the sensational view as you go. This excursion can be done with Vallarta Adventures, who offer a chance to travel on Mexico's longest and fastest zip line, which is nearly 4,000 feet in length and reaches speeds of up to 60 mph! You can also be one of the first people to test out the latest pioneering technology and try flyboarding. This exhilarating activity uses over 400 pounds of lift to defy gravity and propel an individual up into the air. The once-in-a-lifetime feeling of flying into the sky, or soaring through the water by jet is made possible by Vallarta Adventures. 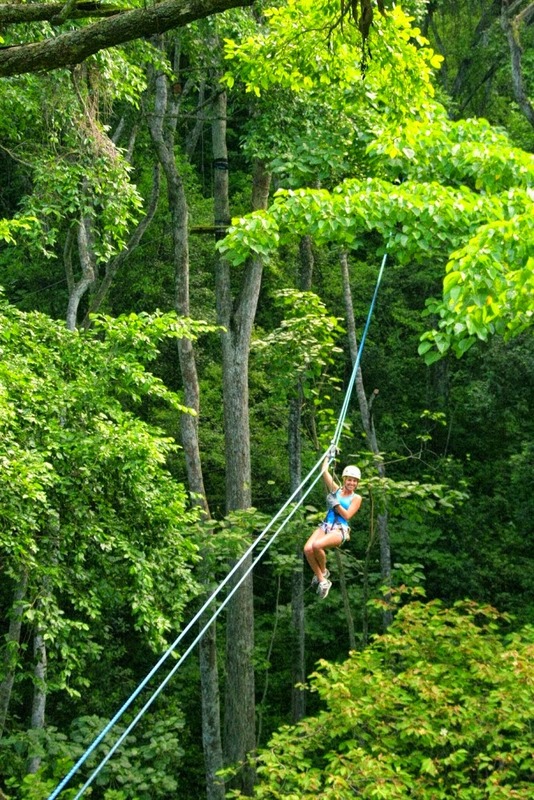 With trained instructors on hand for 30 minute sessions this is sure to indulge extreme sports fans and thrill-seekers. If that doesn’t fill your adrenaline quota try off-roading through the jungle in Puerto Vallarta. Vallarta Adventures also offer the opportunity to test your off-road driving skills and navigate the rugged jungle floor, zooming across rocky river beds, uneven foliage and climbing up hills in a daring Polaris RZR UTV. Over in neighbouring Riviera Nayarit there are also plenty of opportunities to stay active and indulge your competitive side at this time of year. From 12th- 16th March 2015, the pristine beach at the world-famous Hard Rock Hotel plays host to the IV International Beach Polo Cup. This glamorous event draws in an impressive crowd looking to watch the exciting competition unfold and learn tips from the masters of the sport. Sailing enthusiasts will also be thrilled as from March 3-7th 2015 the 23rd annual Banderas Bay Regatta is set to take place in Nuevo Vallarta, Riviera Nayarit. This regatta is one of the biggest cruiser regattas in the world, combining an exhilarating mix of short and long course races. As well as great racing, visitors are guaranteed a fun filled week of music, gastronomy and camaraderie on the shores of the Pacific. Banderas Bay is also a fantastic destination for scuba diving. Dive in and get up close to Mexico’s vibrant marine life, ranging from tropical fish, lobsters, turtles and octopus, to dolphins, eels and manta rays. The best sites include Las Marietas Islands Marine Reserve, home to the iconic ‘Hidden Beach’ and El Morro diving site. Las Marietas Islands Marine Reserve is ideal for beginners seeking a 1-tank dive, with depths of 25-75ft and an average visibility of 39ft. For more advanced divers El Morro is a perfect spot, as the site is comprised of a series of rocks which provide a diverse mix of technical dive challenges below the surface including wall and cave diving - the ultimate eco adventure.